Dubai – October 31, 2018: Yash Raj Films mega action extravaganza Thugs of Hindostan has wowed everyone with it’s entertaining, larger than life trailer. Having brought together Amitabh Bachchan and Aamir Khan onscreen together for the first time ever, the film boasts of a casting coup of this generation. The fictional film is set in 1800s India which saw the rise of the British East India Company who changed its intention to become a conqueror. Bringing alive this era and yet retaining a touch of fantasy meant that costumes have the most important place in the film. 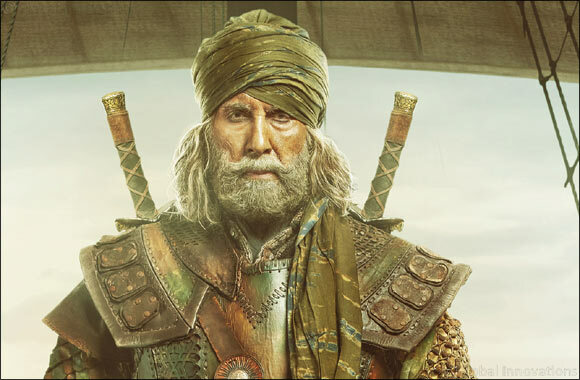 Amitabh Bachchan, who plays the heroic Khudabaksh, has a meticulously crafted costume that echoes his legendary valor. Costume designers Rushi and Manoshi researched for months to design his unique look that combines armor, leather and the traditional dhoti pants. “Our brief for Khudabaksh was that of a warrior who is a farmer at heart. This character has very contrasting personalities. Our costume spoke this brief aloud. We have given him a kurta and the dhoti are absolutely farmer like. The kurta has a cotton and a linen rib with a muslin lining to give it that softness and on top of that we have given that hard armor which brings out the fierceness of a warrior of Khudabaksh’s stature,” they explain. Thugs of Hindostan has been directed by Vijay Krishna Acharya. It is set to release on November 8, a national holiday, in Hindi, Tamil and Telugu. Advance tickets available across cinemas in the UAE.